Depending on where you look, Google Wave, the new social collaboration tool from the search engine, is either 'game-changing' or the 'most-hyped' product on the internet. 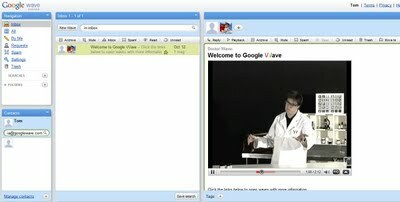 A few days ago, I was lucky enough to receive an invitation to preview Google Wave from a fellow user. Naturally, I jumped at the chance to investigate the truth behind the hype. Messages in Google Wave are described, cunningly enough, as waves. For all intents and purposes, these waves are social media emails. In a wave, users can type messages or include attachments and links. Waves can also include data from Google Maps and Google search listings as well as pictures and YouTube videos. Users can send these messages to anyone with a Google Wave account. If the recipient is online on Google Wave, they will receive this immediately. If not, the wave will be waiting in their inbox until they return to the programme. The recipient of this message can then choose to either reply to this wave or edit it. What makes Wave unique is that participants can not only do this in real time, but also that they can all do it at once. Google Wave has been described as a collaboration tool and it quickly allows individuals to share data and collate information. You can immediately see how the tool could be used for business. Users can quickly share information on group projects, plan meeting agendas and discuss ideas and thoughts in an informal setting. The software offers real time, and more importantly, fluid communication between individuals. Furthermore, unlike email, it stores every message in one place. Lars Rasussen, Google's software engineering manager, explained that Google Wave offered much more than traditional email (which he described as an electronic text message). He pointed out that the internet had evolved and individuals needed a system designed for 21st Century web use. Could Google Wave be it? Potentially.